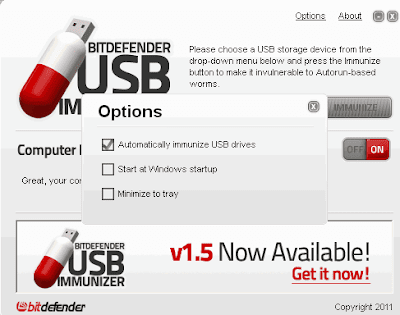 USB immunizer disables autorun-related threats before they access the computer. Once installed, it constantly watches for newly inserted USB storage devices and immunizes them on the fly. If you accidentally plug in an infected USB drive that has not been immunized, the computer will not auto-execute the piece of malware located on the USB storage device. The FAQ for the latest version of the USB Immunizer can be found here. too great. I actually like what you've bought right here, certainly like what you are saying and the best way through which you assert it. You are making it entertaining and you continue to take care of to keep it smart. I cant wait to read far more from you. This is actually a wonderful site.